For some who have the money, driving a convertible Bentley Continental GT Convertible attracts too much attention. They want something more subtle, something that will blend into a crowd a little easier. With two turbochargers and a V12 under the hood, the Mercedes-AMG S65 Cabriolet is the right kind of excess to be just what you need. Based on the latest S Class Coupe, the Cabriolet adds a retractable soft-top roof, while the AMG fettling and 65 denomination ensure that all who cast an eye over the badge know that this is the king of the S Class pile. The Mercedes-AMG S65 Cabriolet is the king of the Mercedes hierarchy. Every other Mercedes derives something from the S-Class and S65, which is why the interior is luxurious and opulent beyond the usual luxury coupe segment. Sculpted seats are clad in rich, warm leather, and offer power adjustment, heating, ventilation, neck-level heating, and massage functionality. The rear seats offer heating too, and dual-zone climate control is standard, along with a heads-up display, soft-close doors, and a powered tailgate. Seating is comfortable and luxurious, and space is abundant. Head and leg room is generous for all four seats, though rear occupants have less head room than they’d like due to the coupe-like roof-line of the folding soft top roof. The trunk is large and cavernous, with 12.4 cubic feet on offer with the roof up. But when opened, the number decreases significantly, shrinking to 8.8 cu ft.
AMG Adaptive Sport Suspension pairs with Airmatic air springs and Adaptive Damping to create a package that rides as well as it handles. In Comfort mode the S65 wafts along the roadway, floating over bumps and imperfections. But at nearly 5 000 pounds, the S65 Cabrio is a heavy monster of a convertible, and it can’t avoid inevitable body roll completely, even in its firmest of settings. In this state, though, things firm up to offer impressive levels of support. But with the large roof cut out in Cabrio trim, body flex hampers outright performance. AMG have done as much as they can to curb potential problems arising from this – including equipping ESP Curve Dynamic Assist, a brake based rear-wheel torque vectoring system. The weight also poses a further threat under repeated braking – though available carbon ceramic brakes quickly remedy this. Whereas the S63 features V8 power, the AMG S65 boasts a fully handcrafted 6.0-liter V12 under its hood. The V12 is equipped with two turbochargers and develops 621 horsepower and 738 lb-ft of torque, directed exclusively to the rear wheels via a 7-speed AMG-tuned automatic gearbox. Due to heavy mass and compromised grip levels, 0-60mph takes 4.0 seconds – not the quickest, though hardly slow. The engine is equipped with start/stop technology to improve economy, but the AMG Sport Exhaust emits a howl that induces a heavy right foot to counter any savings that might yield. 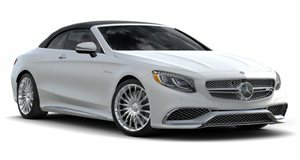 The Mercedes-AMG S65 Cabrio features a massive array of standard kit, including the Warmth & Comfort package with heated seats and armrests, and a heated steering wheel, as well as the Premium Package that includes massage seat functionality, surround view camera system, and the AMG heads up display. Options are limited, but a worthwhile one is the in-car Wi-Fi hotspot. In terms of safety, the standard Driver Assistance package equips distance pilot, speed limit assistant, lane keep assist, blind spot monitoring cross traffic alert, and autonomous emergency braking with pedestrian detection. The V12 may seem like overkill, offering little more performance than a lesser V8-powered S63, but the AMG S65 Cabrio is subtle excess – the cream of the crop and the highest level of luxury for those who like to enjoy their money without flaunting it and bragging aloud.